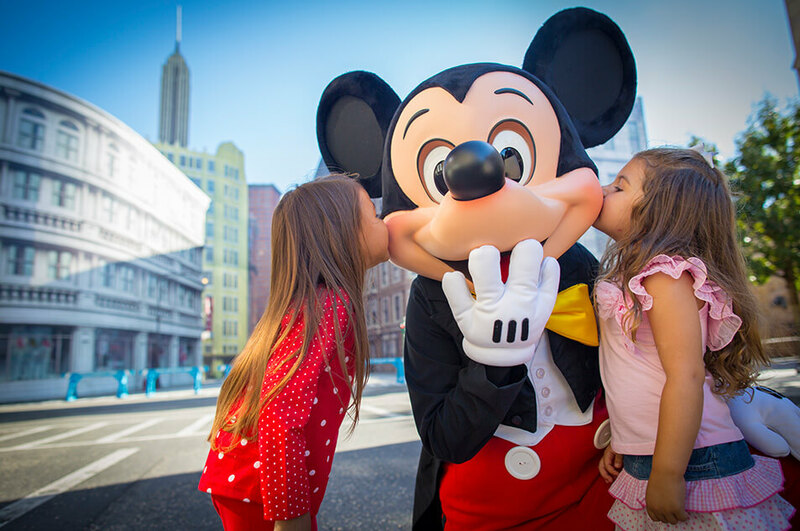 Movie magic comes to life at Disneys Hollywood Studios®. Step into the action with attractions based on blockbuster movies and top TV shows, and delight in exciting entertainment that puts you center stage. Here are some tips for capturing the glitz and glamour in outstanding photos and videos. Lights, camera, action! 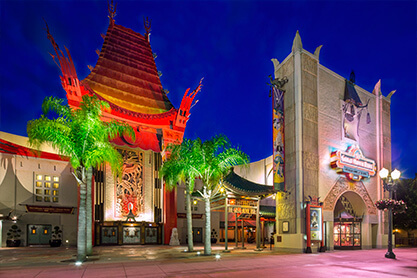 The Main Street of Disneys Hollywood Studios®, Hollywood Boulevard takes you to the center of Hollywood, complete with the beautiful Chinese Theatre. Zoom all the way out and bring the whole scene into focus with a wide-angle cityscape photo. If youre shooting at night, select Nighttime Portrait or Nighttime Landscape Mode or turn up your cameras ISO setting. 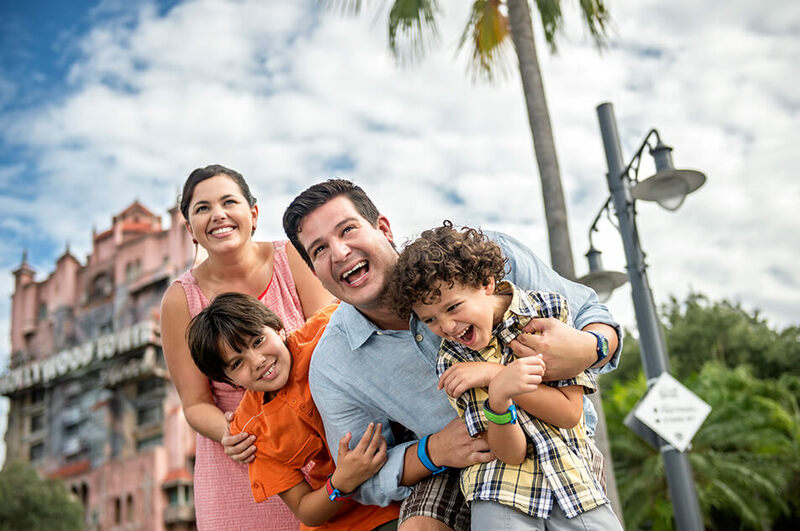 Set up a family photo with the cityscape backdrop of Disney Hollywood Studios®. Once a working movie set, youll be presented with the splendor of Hollywood at each turn. The building that houses this attraction is modeled after the famous Chinese Theatre in Los Angeles. It makes an ideal backdrop for portraits and group shots. Find some of your favorite actors hand prints and take close-up macro style photos. Set your camera to Close Up if it has that mode. Remember to take shots of your childrens expressions both before and after rides. The Twilight Zone* Tower of Terror has been a staple in the parks skyline since it opened in 1989. Have fun taking spooky photos all around the exterior. Take a sequence of photos of the kidsone shot where theyre smiling, another where theyre making scary faces. 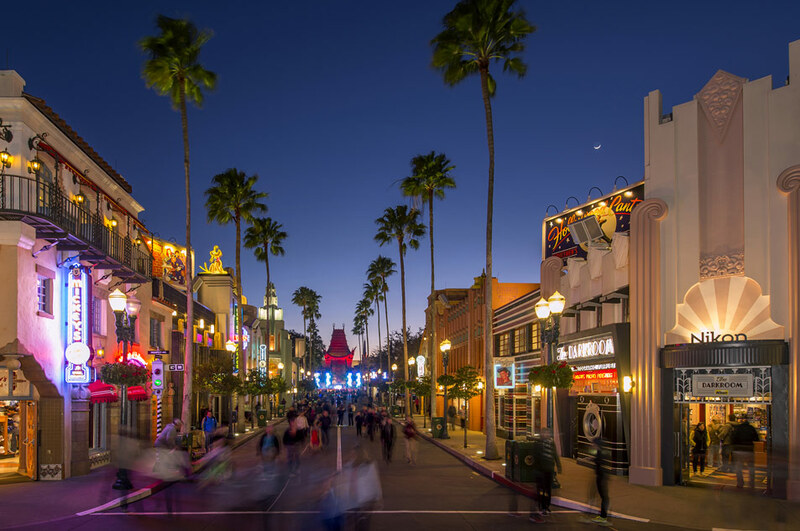 Disneys Hollywood Studios® is based on a Hollywood-type town with a variety of working actors and movie sets. When the park opened, real filming occurred in the soundstages and sets at the park, but many of those have since been renovated into other attractions. A few of the sets still remain and serve as a wonderful and fun backdrop for photos. Take more than one picture to ensure you get the best moments. Everyone loves visiting a movie set. Line your family up in the middle of the street, zoom out for a wide shot, but walk in to your family and frame the photo so youre close to them but can still see the street behind them.